Job Portal for Sarkari Naukri India, Results, Govt Jobs, Government Vacancy. SMVDU is Technical University situalted in J&K.This University has 10 Academic Schools for UG, PG and Ph. 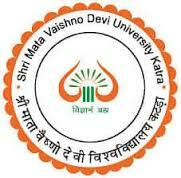 D. Level education.SMVDU opens applications for the appropriate candidates. Candidates are adviced to fill application form on mentioned format and send prior to 19/10/2016 at The Registrar, Shri Mata Vaishno Devi University, Kakryal, Sub Post Office, Katra–182320 (J&K). Go through http://www.smvdu.ac.in/notifications/jobs-smvdu.html for details. RPSC Hindi Exam RPSC 1st grade question paper for hindi Important papers for 1st grade Hindi Exam.